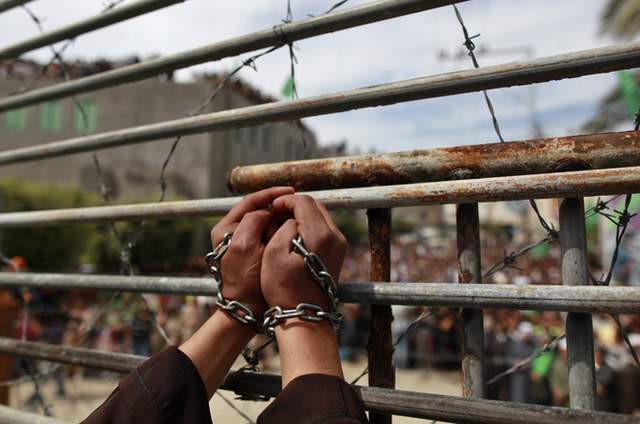 MCW reported Israeli Prison Service (IPS)’s statistics showing that there were 6,204 Palestinians from the occupied West Bank, East Jerusalem and the Gaza Strip held as “security prisoners” in Israeli detention facilities by the end of last month. ___It said that this number included 438 children. ___Regarding children, the MCW said that there was an 8 per cent increase in the number compared with the previous month and an annual increase of 94 per cent compared with 2015. ___These figures include seven children held under administrative detention. 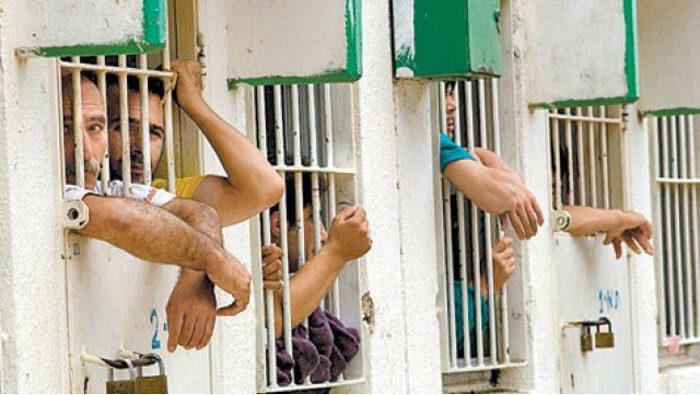 A further 1,692 Palestinians were held as “criminal prisoners” including 15 children. MORE . . .
___In their joint report marking April 17, the Palestinian Prisoners’ Day, the Detainees’ Committee and the PPS said the Israeli army has kidnapped, since the beginning of “Al-Aqsa Intifada,” in late September 2000, until this day, more than 90.000 Palestinians, including 11.000 children, 1.300 women and girls, and 65 elected legislators and government ministers. MORE . . .
On the occasion of the Palestinian Prisoner’s Day, Prime Minister Rami Hamdallah urged the international community to protect the human rights of Palestinian prisoners and detainees, especially the children who are subject to psychological and physical harm, said a statement issued on Sunday by the Premier’s office. ___”Israel’s policies of detention and imprisonment violate all international legal standards, and are intended to obstruct the daily lives of Palestinians, in order to oppress an entire population,” the Prime Minister added. MORE . . .
Twelve Palestinian prisoners on hunger strike in protest of administrative detention, jail conditions. As Palestinians prepare to mark Prisoners’ Day on April 17, a day to be in solidarity with thousands of Palestinian political prisoners by demanding their freedom from Israeli jails, the US Campaign to End the Occupation launched a new website G4S Facts highlighting the various injustices perpetrated by G4S, the world’s largest private security company, in the United States, Palestine, and beyond. MORE . . . The Jerusalem Detainees’ Parents Committee has reported, Sunday, that as the Palestinians mark the Prisoners Day on April 17, at least 509 Jerusalemite Palestinians are imprisoned by Israel, among them are 10 women, and 18 children. ___The committee provided the following information regarding Jerusalemite political prisoners, held by Israel. 10 children under the age of 14. 118 children, above the age of 14, and below the age of 18. Recently returned from a ten-day trip to the Israeli-colonized Palestine, a US delegation of anti-prison, labor, and scholar-activists has issued the following statement to mark Palestinian Prisoners Day 2016. The delegation included three former US-held political prisoners, and a formerly incarcerated activist, two former Black Panther Party members, university professors, prison abolition organizers, and trade unionists. . . .
___In recognition of International Day of Solidarity with Palestinian Prisoners, the US Anti-Prison, Labor, and Academic Delegation is demanding freedom for the 7,000 Palestinian political prisoners currently held in Israeli jails and all those fighting for justice everywhere, including political prisoners in U.S. prisons. MORE . . .